Credit: X-ray: NASA/CXC/U.Colorado/Linsky et al. ; Optical: NASA/ESA/STScI/ASU/J.Hester & P.Scowen. A new look at the famous "Pillars of Creation" with NASA's Chandra X-ray Observatory has allowed astronomers to peer inside the dark columns of gas and dust. This penetrating view of the central region of the Eagle Nebula reveals how much star formation is happening inside these iconic structures. The Chandra observations did not detect X-rays from any of the so-called evaporating gaseous globules, or EGGs. The EGGs are dense, compact pockets of interstellar gas where stars are believed to be forming. The lack of X-rays from these objects may mean that most of the EGGs do not contain enshrouded stars. However, infrared observations have shown that 11 of the 73 EGGs contain infant stellar objects and 4 of these are massive enough to form a star. 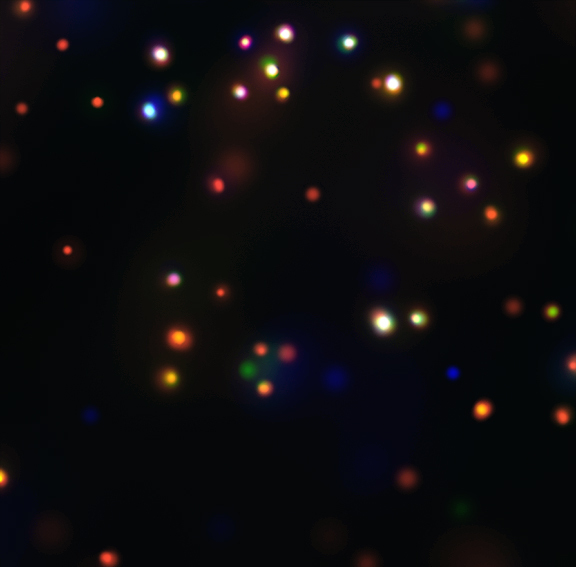 The stars embedded in these 4 EGGs might be so young that they have not generated X-rays yet and one of them (E42) - estimated to have about the mass of the Sun - could represent one of the earliest stages of evolution of our nearest star. 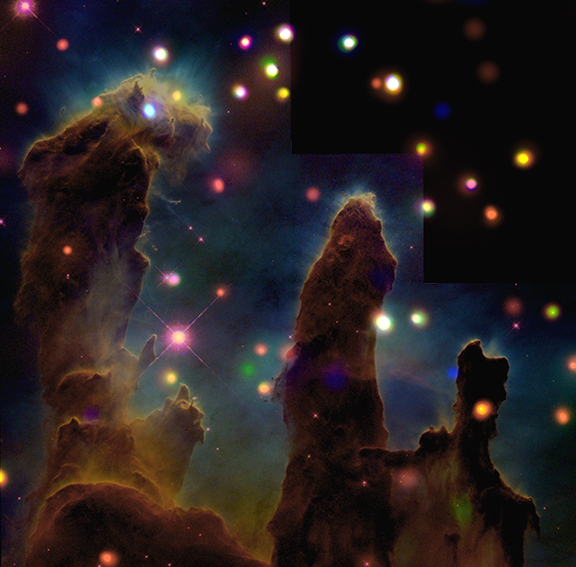 The Sun was likely born in a region like the Pillars of Creation. Credit X-ray: NASA/CXC/U.Colorado/Linsky et al. ; Optical: NASA/ESA/STScI/ASU/J.Hester & P.Scowen.